This album was actually recorded as a The New Yardbirds album but released as by Led Zeppelin when Chris Dreja, formerly members of The Yardbirds, informed them they had not the rights to The New Yardbirds name so a new band name was confirmed late October 1968. 1. Label: This Version 1 has Turquoise sleeve lettering and Superhype Music/Jewel Music Publishing credits labels. 2. Label: This Version 2 as Version 1, but this issue has on side one the "Superhype mis-credit label", label lists songs 1, "3", 4 as Superhype Music and then 3 again as Jewel Music. 3. Label: This Version 3 has Orange sleeve lettering with grey stripe across the base of the front cover, uncorrected stamped matrix number and (Superhype Music/Jewel Music Publishing credits labels). 4. Label: This Version 4 as Version 3, but with difference of the corrected stamped matrix number and again with Superhype mis-credit on label side one as Version 2). 5. Label: This Version 5 has Orange sleeve lettering with the corrected stamped matrix number on both sides which have the second 8 scratched out and (Superhype Music/Jewel Music Publishing credits labels). 6. Label: The Version 6 has Orange sleeve lettering with Grey stripe at bottom on front cover and without Superhype credits with instead Warner Bros/7 Arts. Publishing credit printed in one line on the labels. 7. Label: The Version 7 as Version 6, but with Warner Bros/7 Arts. Publishing credit printed in two lines on the labels. 8. Label: The Version 8 as Version 7, but without the Grey stripe at bottom on front sleeve. 9. Label: The Version 9 as Version 6, but has Warner Bros/7 Arts /Jewel Music Publishing credits printed in one line on label side One and Superhype /Jewel Music on label side Two printed in two lines. 10. 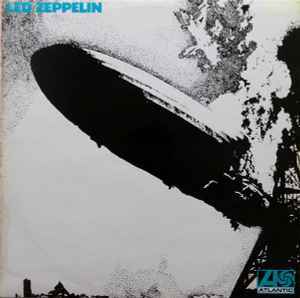 Label: The Version 10 as Version 6, but has Warner Bros./7. Arts Jewel Music Publishing credits printed in one line on label side One and Warner Bros. 7. Arts Jewel Music Publishing credits printed in one line on label side Two but without the "/" in between Warner Bros. and 7. Arts.